A programming methodology that encourages customer involvement. The key feature is test-driven development with very short iterations. You release working code as often as possible for customer feedback. Unit testing is very important. Ideally, you never write a line of code that does not already have a unit test that fails. In XP, everything you write, directly fits some requirement and is written to make some test that already exists, pass. egoless programming or collective code ownership is another feature of extreme programming. Everything is coded to a single set of standards and anyone on the project is expected to take ownership of anything, at any time. This requires a small experienced team of peers, not a large team of craftsmen and apprentices. 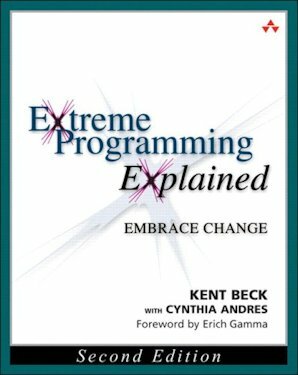 Extreme programming does not fear or try to control change. It attempts to make the cost of change as low as possible. Instead of rigidly following plans, it constantly adapts them.